I realized I never posted two of my February finishes for my knit your library challenge! First up, my first ever pair of tube socks. Kiddo likes them, so a second pair is already on the needles! And I went to an old favorite pattern of mine, for a quick finish hat for me! This is the lowbrow hat, which I knit at least six times two years ago (around this time of year, too!). The yarn is new though--Tanis Fiber Arts aran weight in the lemongrass colorway. Swooon. LOVE this! After my leap year cast on craziness, the two projects that have gotten any love that qualify for the knit your library challenge are these two. I've finished the front and back set up for the top-down set-in sleeve pattern using my Ann Budd book, and now I'm ready to start using the lace charts from Campside! And my second pair of child's tube socks grew by an inch! These tube socks are perfect if you want mindless knitting, since there's no heel! I really enjoy them--but it is a bit more bunchy with fabric since there's no heel. 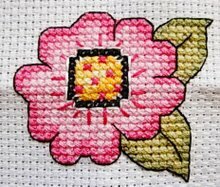 Snapdragon Crafts: great name for your blog. The socks made me happy! Lucky kid to have a mom knitting up items. I will check into the knityourlibrary knit along, and thanks for the tip. Thanks! I'd love to have you join us! By the way, that link is not a working link for knityourlibrary. I will google it. Those tube socks are adorable. I like the colorway. I'll have to look for it. You are one busy knitter! You have very lucky kids to have such great knits to wear. 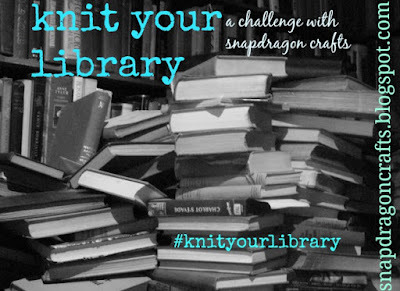 I like the idea of knit your library. I might be joining you soon! The lemongrass colorway is pretty! 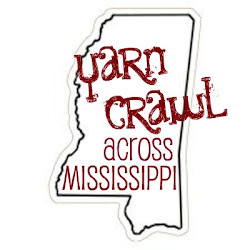 great projects....and I bet I have equally great ones lurking in my knitting library. I should spend more time there and less on ravelry!!!!!! Thanks for the reminder!